Shrouded in legend and lore, the Druids continue to evoke fascination to this day. 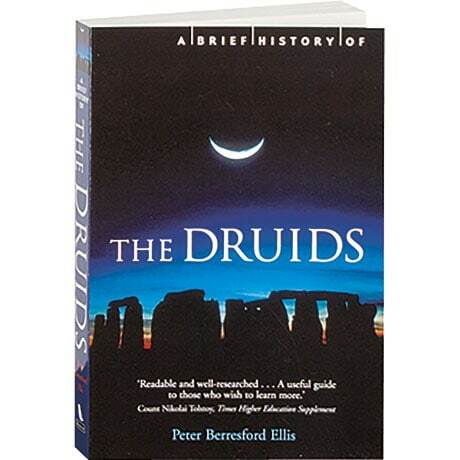 Making a careful examination of archaeological and etymological facts, Peter Berresford Ellis—who under the name Peter Tremayne writes the fictional, Celtic-themed Sister Fidelma mysteries—takes a closer look at the Druids, while recounting their history, discussing their timeless wisdom, and detailing the ongoing revival of interest in their culture. The 12 pages of illustrations include depictions of the sexually provocative sculptures of Sheela-na-gig and the Wicker Man, a massive figure allegedly used for human sacrifice.